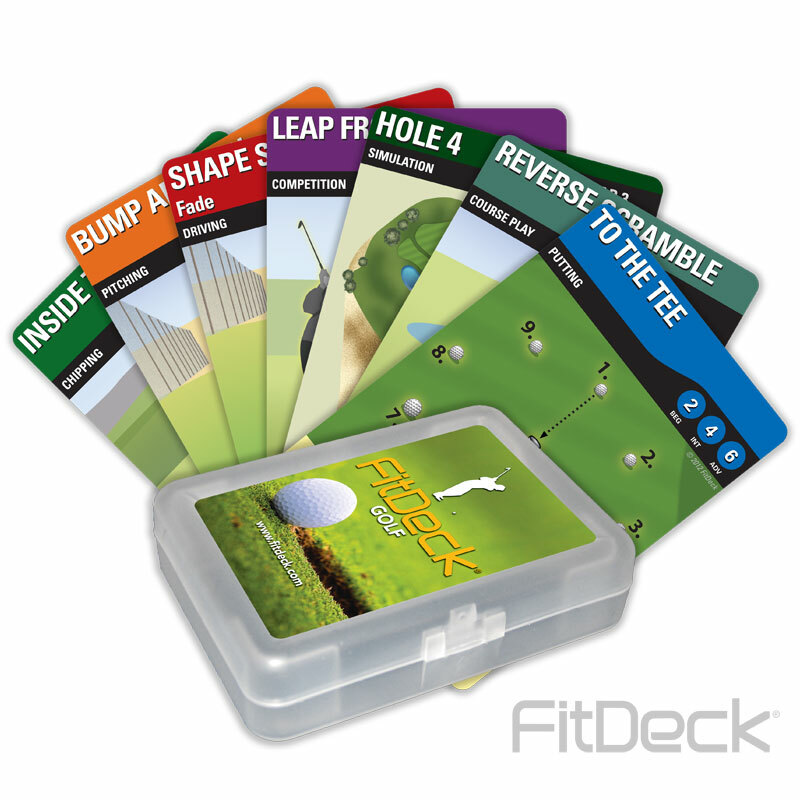 FitDeck ® Golf Cards help you keep your golf game primed all year long. Perfect for off-season maintenance or new season tune-up. Drills include: Putting, Chipping, Pitching, Driving, Competition, Simulations and Course Play. Make the most of your time on the golf range with these challenging drills, skills and games. Play alone, with a partner or a foursome. Add some life, laughs and humility to your next 9 or 18 holes. Equipment: Golf Clubs, golf balls, golf range. Targeted Users: Men & Women (15-75 years).